Hostels are rarely the quietest choice of accommodation they're just made up like this. Meeting people, getting together are simply a must. Jamaika name suggest that this place is not an exception. Guest kitchen, backyard and on-site bar are all great socializing zones. During the day- go explore the city, have a nice dinner out .. but when the night comes- get back to us where lively, bustling hives of energy never leave. Movie nights, burger days, fleemarkets, parties, preparties, afterparties, live concerts - you never know what you can walk into. Jamaika bar and backyard becoming one of Vilnius in-depth nightlife exploration points. Warning tip: in case you are a very sensitive sleeper - bring your earplugs or get one here, cause sometimes we tend to get loud. 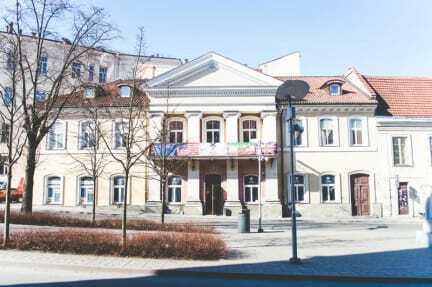 Property Jamaika is situated in the very heart of the Vilnius Old Town with main tourist attractions, such as Town Hall Square and Central Market within a short walk. Wi-Fi is available free of charge. There are 2 spacious living rooms with a kitchen that can be used by all the guest, also property can provide bike rental services and city tour facilities. Guests can also relax on a spacious terrace or balcony. 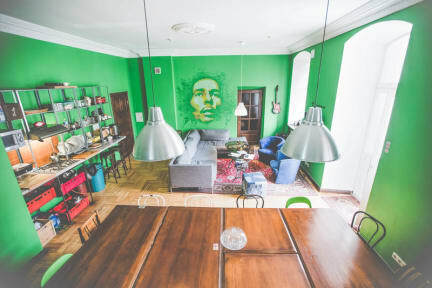 Best Hostel in Vilnius! Big rooms, great atmosphere, bathroom enormous and even the commons area! very good located, staff very nice and helpful (one of them helped me by calling a taxi to the airport! thank you :) ) I spent 1 night in a female dorm and was clean and nice. Nice bathroom! the reception looks comfy and cozy. Go for it!